Russell Siegelman has spent over twenty years in business and technology as a manager, investor and director. Currently he is splitting his time between teaching, angel investing, and non-profit activities. He has made personal investments in over thirty technology start-ups. In the non-profit area, he is the Chairman of the Board of Sustainable Conservation, a Director of Innovations for Poverty Action, and an active donor of the Jamal Poverty Action Lab at MIT. Russell is a Lecturer at the Stanford Graduate School of Business where he co-teaches the courses “Startup Garage”, “Product Launch” and “Formation of New Ventures”. He is a frequent mentor and adviser to many for-profit startups and social ventures and their founders. Starting in 1996, Russell spent eleven years as a Partner at Kleiner Perkins Caufield & Byers, where he invested in consumer and technology related technologies and markets. He continues to serve on the boards of several KPCB companies. 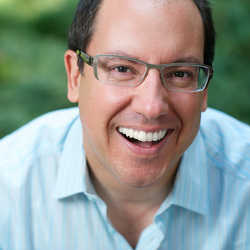 Russell joined KPCB after seven years at Microsoft where he worked directly for Bill Gates, resulting in the formation the Microsoft Network (MSN), Microsoft's online service. Russell was also responsible for the formation of the Slate project, Microsoft's World Wide Web political and arts commentary.